DIY Emergency Kit: Are you prepared? 5 Years! Thankful for my readers! Sales, Sales and more SALES! I love the backup batteries from J. Crew. Really want to get one. I love the VV tumblers - those are too cute!! I got the 2 bottle wine totes for my sister and brother in law and my mom. I am happy they are doing a 1 bottle one now. I got another for my mom! I love this guide because it is affordable. I was tempted by that Jcrew battery pack, wish I picked it up now! Adorable! Love the travel case! You can stock that up as a mini emergency kit too! That is a great idea! I think it would be fun to make your own for a friend-customize it for her! Everything is so cute! 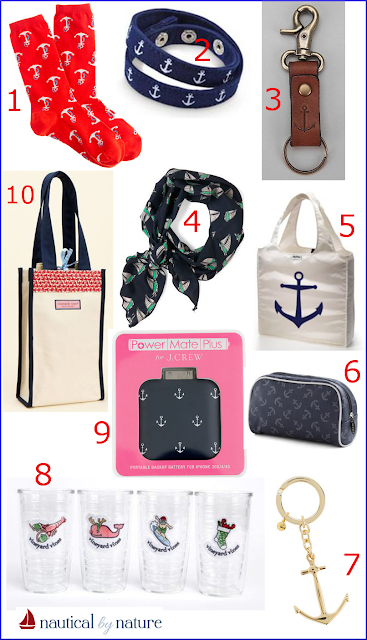 I especially love the scarf and the tote! Those socks are too cute!